Hail damage is covered by most standard home insurance policies but coverage can be applied in a variety of ways. It’s always a good idea to review your hail coverage directly with your insurance provider, but below is a recap of how home insurance typically pays for hail damage to your house and what to do if hail damage is excluded from your policy. How do I know if my Indianapolis roof has hail damage? Hail can damage your roof without any visible signs from the ground. Hail normally has to be the size of a golf ball before it will break through your roof or cause bruising. Sometimes these damages do not show up quickly or are easily overlooked. The integrity of the shingle may be damaged, do not take a chance on it. If hail is driven by high winds or if it lasts longer than a few minutes, even small-sized hail can cause your roof to suffer severe damage and the loss of their protective granules, which will greatly reduce the life of your roof. Loss of granule layers will leave the shingles exposed to the suns UV rays. This will cause serious deterioration of the shingle in a short period of time. Hail and high winds can cause serious damage to your roof and exterior of your home. Indiana Roofing offers a free roof evaluation to verify the extent of your damages and provides estimates and options on deciding if your roof should be repaired or replaced. When do I file a hail damage claim? Getting a proper roof inspection by a qualified roofing contractor is the best place to start. There are many good roofers, that simply don’t know how to inspect for hail damage or work an insurance claim. You need to ensure you a working with a roofing professional with experience working with various insurance agencies in your area. 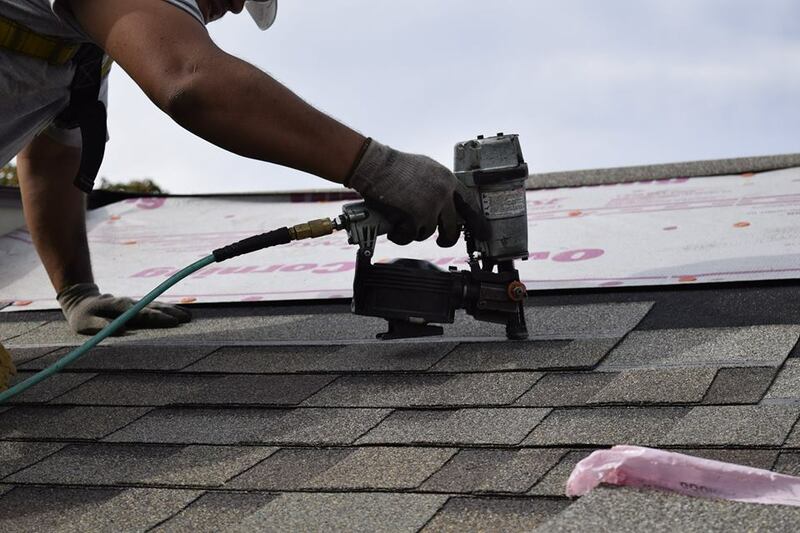 Beware: every state has different policies, so roofers that chase roofing jobs around the country based on areas where hail has been documented may not be well versed in the policies and state requirements here in Indiana. Time Limits: It is always best for policy-holders to file a hail claim promptly after a storm where you know, or suspect hail was present. The time you have to file an insurance claim varies by insurance company, but most insurance policies limit your time to file a claim, within 12-24 months of the storm. It’s always best to first contact your insurance agent to verify how long you have to file a claim. The Process: For many standard homeowners’ policies that include hail damage as part of your protection coverage, homeowners file a claim, pay the policy deductible, and then the insurer pays to fix the damage. A deductible is the amount you have to pay toward a loss before your insurance company pays a claim. When deciding if you should file a hail damage claim, you should first be sure that the amount of the insurance pay out exceeds your deductible in order for a claim to make financial sense. For example, if your home has $1,500 worth of hail damage and your insurance deductible is $1,000, it might not be your best option to file a claim. Average hail claims tend to be at least a couple thousand dollars. Light hail damage might not be enough even to meet your deductible, while heavy hail damage, though mostly cosmetic, can total even a brand-new car on your property. Indiana Roofing offers free roof evaluations to help you determine that amount of damage your Indianapolis property has suffered from hail and is experienced working with insurance agencies and the claims process. Insurance adjusters will inspect your roof and exterior of your home for visible signs of damage only. For the roof, they will typically measure out a “Test Square” (10′ x 10′) on different sections of your roof. If they can find a sufficient amount of bruises or breaks for each “Test Square”, the insurance company will typically approve your claim for a new roof. While it is possible that your roof escaped damage, even when other homes in your area experienced significant damage, it is also possible that something was missed when identifying the roof damage. Most discrepancies occur when the adjuster has not assessed the same amount of damage as the contractor, whether it is for the roof, gutters, siding or other exterior or interior damage. So if you have interior damage or other hard to see damages that can be easily overlooked, chances are the adjuster will probably miss it. This is another reason that you need us to represent you during the inspection. You are entitled to have your contractor of choice represent you during the inspection and adjustment process to expedite the settlement of your claim. Indiana Roofing has years of experience working with insurance companies to properly determine the extent of the damage, clarify pricing and offer a repair price agreeable to the insurance company. Does filing a hail damage insurance claim mean my insurance rates will increase? No, not in all cases will your rates increase. Most insurance companies do not raise premiums or deductibles for “individuals” for filing a claim due to hail or wind damage. It is considered an Act of God or Nature. It is not the same as claiming an auto accident. Weather damage isn’t caused by your negligence, so your insurer typically won’t hike your rate. However, your rate may increase based on the number of claims you have filed. Homeowner Beware. Do not make your contractor decision based on the lowest roof replacement estimate. Especially when filing an insurance claim for hail damage, making a decision just based on price will compromises the quality of the roof and does not save you any money in the end. Fair Market Pricing for roof replacements are used by insurance agencies and lets face it, your insurance company isn’t going to reward you for finding the lowest bid for them. They won’t lower your premiums! Select an Indianapolis roofing contractor based on who you feel most comfortable with, their reputation (be sure they are local, licensed, bonded and insured!) and their experience in roofing and insurance claims. 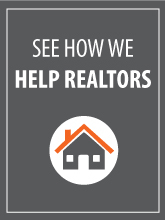 If you suspect hail or storm damage on your roof, give us a call for a free evaluation today!